The 3405 Jumping Hours from Epos is an incomparable work of art. The time is displayed through a large off-centre window at 3 o’clock, a world first, while the date is displayed below the dial in a highly original round, recessed window. An instantly-identifiable, unconventional creation. 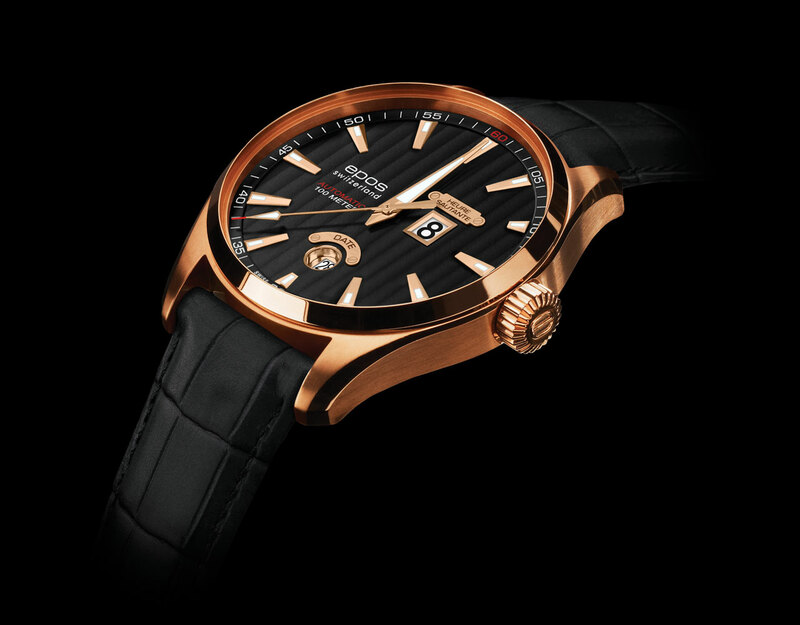 The "Côtes de Genève" decoration on the dial adds the finishing touch to this remarkable work of precision.